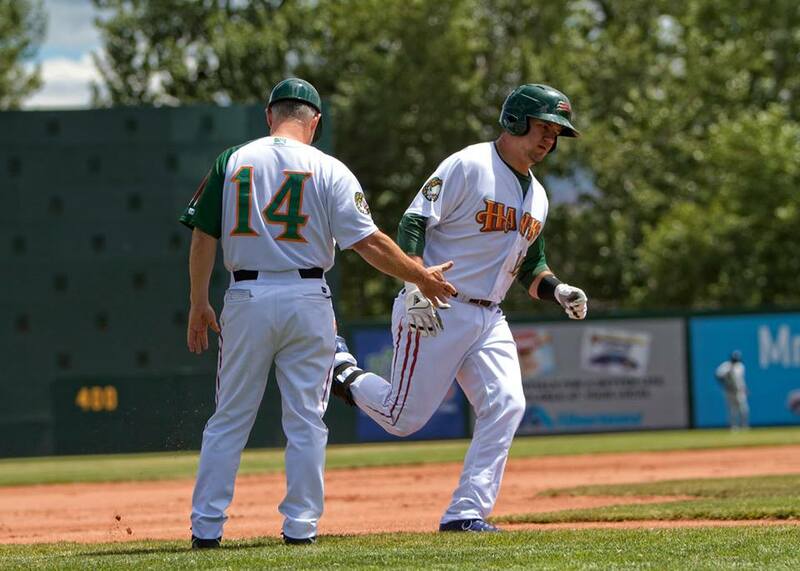 BOISE, Idaho – The Boise Hawks, in conjuction with the Chicago Cubs, have announced that catcher/outfielder Kyle Schwarber has been promoted to Class-A Kane County. The fourth-overall pick in the 2014 Draft hit .600 with four home runs and 10 RBI in the Hawks opening series with Tri-City, helping Boise win 4-of-5 games. Schwarber hit a go-ahead three-run homer on Friday in the Hawks 4-2 win, adding a pair of solo homers in today’s 12-3 rout of the Dust Devils. He was 12-for-20 with a double and triple in a Boise uniform. He will join the first-half Western Division champion Cougars in time for their series opener Thursday vs. Cedar Rapids. No other corresponding move has been announced. The Hawks open an eight-game road trip tomorrow night in Eugene, with first pitch set for 8:05 p.m. (MT).